Today's era is a mobile era. We all love our mobiles. Anything and everything that was earlier designed for desktops, now it should be compatible with mobile devices too. With mobile apps, mobile users will be easily accessing your site or product. The main purpose is develop mobile app is to capture more market for your business targeting mobile users. 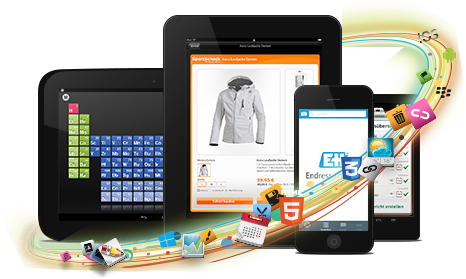 Our skilful team at DESIGNRZ develop smart and user friendly mobile apps with visually striking features and interface. Our main focus is on simplicity so as to not to complicate the app and make it difficult for mobile user to access it promising great performance. Analysing the business goals and market trends. Deciding the beautiful design that will attract the mobile users and connect with them. Making the app simple with striking features that will create mobile presence for your business that will stand out.